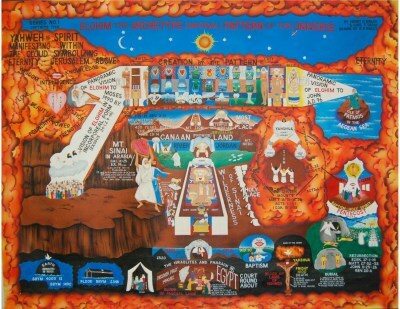 The Institute of Divine Metaphysical Research is not a church, we are a school. We are a non-profit, non-denominational religious and scientific research organization, dedicated to proving the existence of Yahweh, our Creator as he really is and actually exists. We are not affiliated with any other religious or metaphysical organization that uses the name Yahweh. Standing alone concerning its doctrine, the Institute operates various branches throughout the United States. There are presently nine branches in the State of Michigan: Detroit, Flint, Grand Rapids, Harper Woods, Jackson, Lansing, Muskegon Heights, Southfield, and Ypsilanti. The Southfield branch was established in 1997. 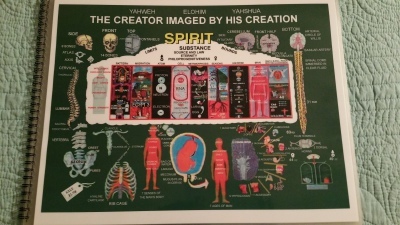 This teaching is based upon a Divine Panoramic Vision and Revelation given to the founder, Dr. Henry C. Kinley by Yahweh Elohim in the year of 1931. Yahweh Elohim is generally referred to as Lord God by more of Christendom, however, lord and god are not names , but titles. Membership is composed of people from all religious, philosophic, economic, racial and educational backgrounds. Our desire is to share this teaching to everyone who is willing to listen, and who wants to know the truth. We encourage you to ask questions concerning religion as it relates to your understanding and quest for salvation. We do not ask that you take our word for it, but to make us prove it to your satisfaction. 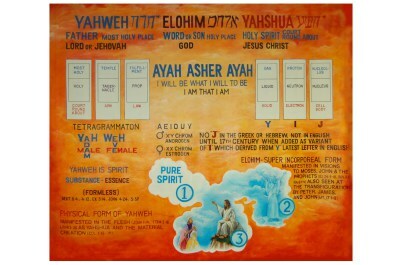 Yahweh is spirit. He is not a man of flesh and blood (Num 23:19). It has been declared that we must worship Yahweh our creator, in spirit and in truth because Yahweh seeketh such to worship him this way (John 4:23-24). We speak ONLY the truth (Eph 4:15, Zach 8:16). We do not tell you what you want to hear, we tell you what Yahweh wants you to hear and know for your own soul salvation. You will learn that life eternal is to KNOW Yahweh, our Elohim, as he really is and actually exist (John 17:3). The true name of our heavenly father is Yahweh, Elohim and Yahshua. There is no other name given among men, whereby we must be saved (Acts 4:12). It is impossible for the creator's name to have ever been Jesus, because there was not, is not, and never has been a letter "J" in the Hebrew, Greek, Latin languages to this day. So, what was the savior called when he walked the earth plane over 2,000 years ago? He was called by his ONE and ONLY NAME, which is Yahshua (Acts 4:12). It is Satan who has many names, i.e. (lucifer, Beelzebub, ). Yahweh is also a UNITY(Deut 6:4), not a TRINITY. The word TRINITY cannot be found anywhere in the bible.